34269 4.6 years ago Penni Goodman US I will CANCELL my account with Amazon if you give the CIA any of my Data! 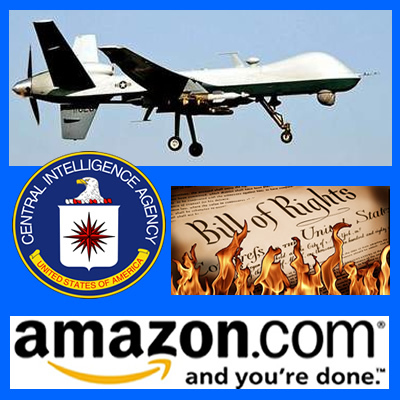 34267 4.6 years ago Anonymous ME , US If Amazon becomes a CIA partner I will cancel my account and urge all my friends to do the same. 34266 4.6 years ago Margret Schreck Greeneville, TN , US I can understand why the CIA would think of Amazon as a great source of information, but at the same time I hope you can understand why your customers don't agree! 34263 4.6 years ago Anonymous gibbons, AB , CA If you sign this, I will have to close my account. I value my privacy. I do not want anyone to have my personal information.